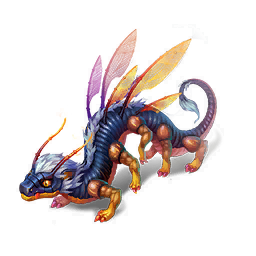 The Centipede Dragon is a living nightmare for most girls living on the Flying Islands. This dragon doesn't have to use its magic (which is very strong!) - all it has to do is flap its hard wings to make its enemies fly away over the horizon with a piercing whine.